I woke up at 4:15 this morning unable to sleep. So I fixed a cup of hot chocolate and headed to the living room to sit in my favorite recliner. 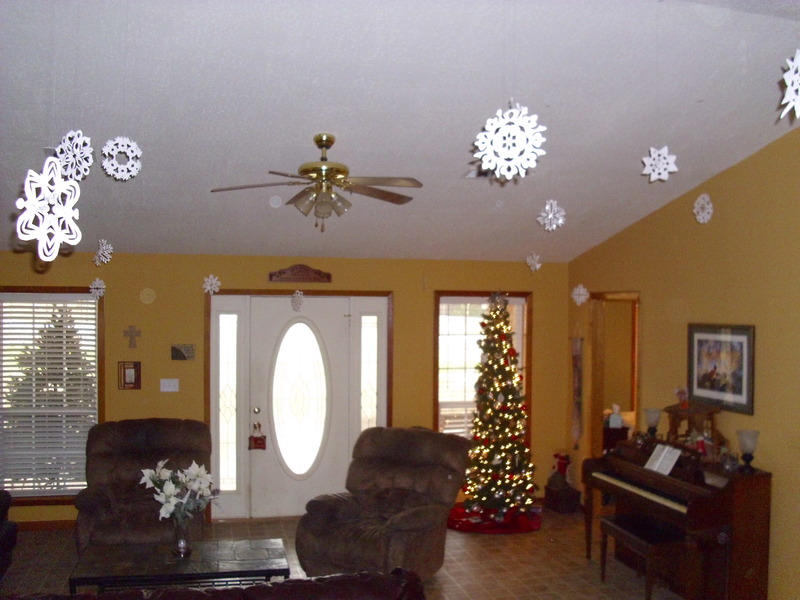 As I sat in the quiet, I looked up and saw all of the snowflakes hanging from the ceiling. They were dancing and twirling in a peaceful, serene way. The sight was a beautiful reminder of childhood dreams, like snow covered Christmas mornings or mom making snow ice cream. For just a few moments I was brought back to days of waking up to see a white blanket of snow covering our yard, building snowmen, and sledding with my brother. Living in south Mississippi, it is rare for my children to see a lot of snow. And while they do not get to experience all that I did as a child, they do get to create memories of their own. 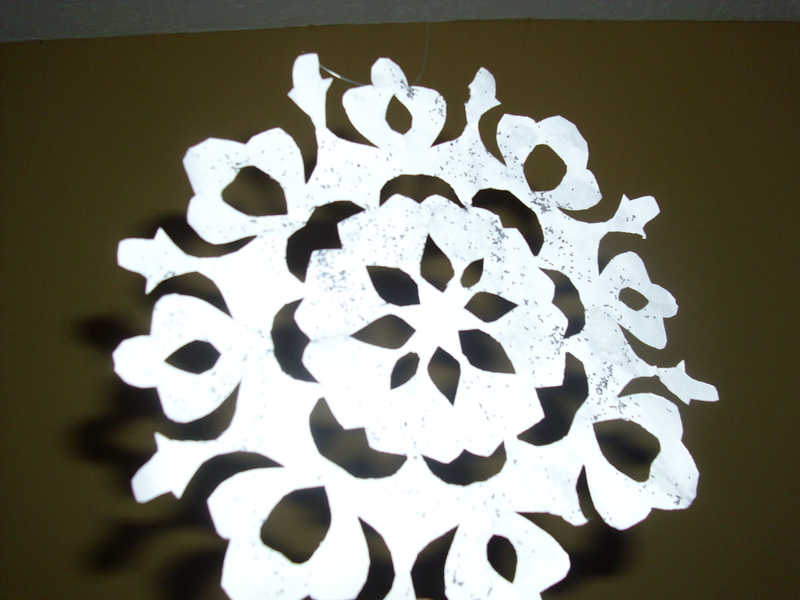 Memories like making snowflakes to hang in our living room. Abigail and Andrew made them for our Christmas party for the church on Friday night. They are beautiful and easy to make. We went online and printed out the patterns. All you need are some scissors and hands to help. In a matter of minutes you can have snow in your living room as well. I’ve shared before that I do not believe in Christmas decorations that have no meaning. I do not put things in my house just because they are seasonal. There is purpose behind it all. So, as the children and I made snowflakes we talked about how God has made each one unique. No two snowflakes are alike. The Creator has designed each one to be special. Likewise, God has made each one of us unique. No two humans are alike. We are all created special and the Lord has a plan for each of our lives. We serve an amazing God! Thank you Lord for snowflakes and how all of creation reminds us of Your greateness! Thank you for always being sweet and dear wife and mother. You make being a wife and mother easy! I love you!